For your next important event, allow us to host. We will create an amazing experience for you. We have many private dining options for parties ranging from 10 to 200. We will provide custom table settings and any other accommodations you require for your event. Ristorante Bottaio - Fresh vegetables, fish and various meats prepared as modern interpretations of traditional dishes from the Abruzzo region of Italy. All within your reach at our charming restaurant in Libertyville, Illinois. Stop by and see for yourself! My server was very patient with us as we had staggering attendees. The food was hot and delicious. We loved the appetizers. I would highly recommended the restaurant. This is my favorite restaurant in Libertyville. There are others that are very good, but I just seem to prefer Bottaio's. It's not haute cuisine, but it has innovative flavorful well conceived offerings. The fried calamari was tender and cooked just right. The veal dishes are excellent and the wine is fairly priced. I have lived in Lake County all my life. This was the first time we have ever been there By far, one of the best places to eat Italian food in the county. My friend and I were totally impressed from the time we valeted the car to the time it was brought back to us. Ladies and gentlemen of Bottaio, we salute you. Thank you so much for a awesome evening. Go to Ristorante Bottaio. you will totally not be disappointed. Everything would have been perfect if the grilled veal chop wouldn't have been smothered in either Marsala or Picatta sauce, whatever it was. In my kitchen grilled accompanied with mushrooms and veggies, means actually GRILLED and having some mushroom and veggies on the side. The way it was served, it looked and tasted like it was boiled in the sauce. Sorry, I'm a chef and I know the difference! Great food and service. Our server was so attentive to our needs. He was patient and allowed us plenty of time to visit with our friends. Great place. The service was a little slow, which may be intentional. The food was great. Server was nice. Very busy on a Wednesday evening. I highly recommend this place. 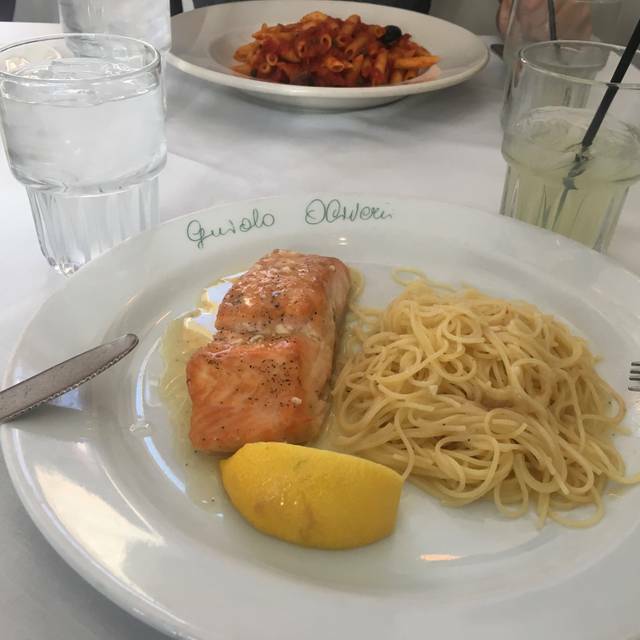 I’ve been to Bottaio for many occasions and have always had a wonderful experience. The food is always delicious, service is amazing, and the ambiance is perfect for a date night or special occasion. Love it! They also have great gluten free options for my husband who has celiac disease. Perfect setting for dinner. Kyle our server excellent! The service was great as usual but the food was not good all around - mine and our birthday guests was over cooked which We didn’t finish - we mentioned something to our waiter but nothing was done. This was wonderful. We had just had our first grandchild, so we were already walking on air. The waitstaff didn’t know our good news but you would have thought they did. Kyle was awesome and made us feel so relaxed and at ease. Food.....OMG.....! Later they did find out about the blessed event and gave us such as wonderful response and FREE DESSERT!!!! Thank you for sharing in such a beautiful moment in our lives!! Totally recommend!!!!! Great food and drink!! Our waiter was awesome! Always amazing !!! Great staff ! Custom foods of you wish and wonderful setting !!! 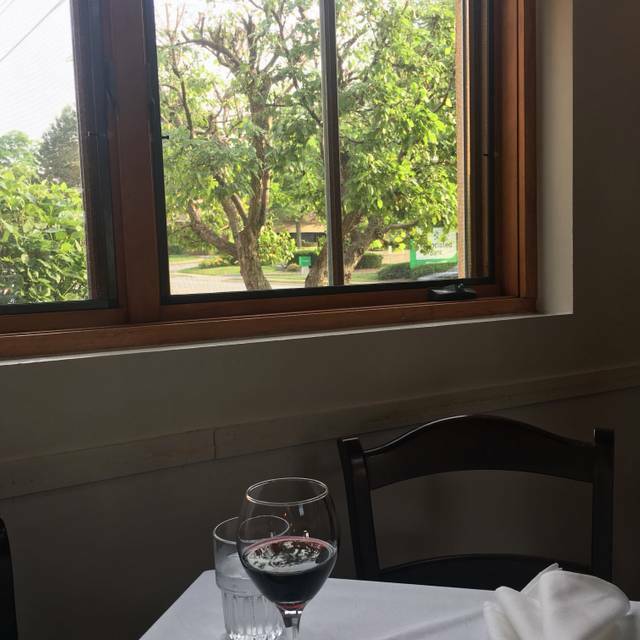 Ristorante Bottaio is a favorite Lake County restaurant of mine. The food is fabulous. The value is perfect. The service was perfect, attentive not imposing. There were four of us with 4 different entres, all of which were excellent. Just a little chilly on the porch area. Otherwise excellent! Great food but slow server. We waited a few minutes for our table but the food justified the wait. This restaurant is consistently fantastic. Great atmosphere, food and service. It's worth a drive. Soup was luke warm.. Cesar salad had almost no dressing . Main course was fettuccine with seafood.. nothing special, was ok. Capaccino was luke warm. Waiter was friendly. With all the Italian restaurants in the area skip this one. first visit turned out to be a very pleasant experience. Veal special was outstanding. Waiter very attentive. Would definitely make a return visit. Our reservation was for 7:15. We got there a full 15 minutes early, so we were going to wait in the "bar area", which is extremely small and for as busy as they were, what we ended up doing was standing near the bar area trying to dodge the serving staff as they tried to get to the seating off the bar with their drink orders. We finally got called for seating at 7:25. The restaurant was very full and very noisy. I ordered chicken picatta. The chicken was very good, but the menu said "Mashed Potatoes" but I got instead, about 5 small potato wedges. So, not what I was expecting, but it was ok. This was for a special occasion, our 29th wedding anniversary and honestly, I just couldn't wait to get out of there. Too busy to have an intimate dinner, but if you want good food and a very raucous atmosphere, it's perfect! The room we were in was so hot we were uncomfortable. It was so noisy we could not talk. Food and Server were great, but not a great experience! Our server Ignactio was great, there when needed but not too in your face. Seating promptly upon arrival but never felt rushed, we ordered appetizers and held off ordering dinner until the appetizers were served. Managemt is not customer friendly. The valet put the keys to our car on the wheel of our car. When we drove off we thought the keys were in our car. We called when we got home and they would not deliver our key unless we wanted to wait until 4am. The next day when we picked up the key at the restaurant they were rude as they gave our damaged key back. No apology from them, very rude, and not customer friendly. They should pay for our new key and have given us a free dinner for that mess. Our second time here for Valentine’s Day. The food was delicious and the ambiance was perfect once again. We’ll be back again! Business Dinner. Enjoyed It. Will visit again soon. Cozy Choice for Italian in Libertyville on a very cold and snowy winter night. Extremely busy so clearly a popular local favorite. The highlight was the very engaging server who had excellent recommendations. The food was quite good, but not remarkable. While we had a reservation, we were seated after a considerable wait as it seemed like other diners were quite happy to be there and were not quick to leave. Parking is quite the challenge, but the valet was quite hard working and accommodating. He even turned on our seat warmers when he returned it to us. Food was very good. Very busy so service was appropriate with how busy it was. Tables are somewhat close together. Noise level is energetic. Not for a romantic dinner...at least on a Saturday night. Always delicious...a go to anytime at our house. Food is consistently good. Everything is good. Just don’t like that I don’t have the options to park my own car don’t like valet parking this is something that’s a big issue for me. Whitefish special was delicious. Service was outstanding. Minestrone soup was a little bland but had a lot of vegetables. One of my favorite restaurants! A lovely place, fabulous food, good atmosphere; it has never disappointed! The whitefish was excellent - perfectly prepared with an abundance of sides. The lamb shank was tender and flavorful. All (or most) entrees come with soup or salad. Our server had a good sense of humor, provided excellent service but did not intrude. Unfortunately, we had room for only one dessert among the 4 of us, given the generous portions. The chocolate cake was very good. The setting is intimate but there is ample space between tables. We'll definitely go back! The best part of Bottaio was their valet parking. The server didn’t take notes, and she made mistakes with the order. The food was OK, nothing special. The ambience is really nice. Good for special occasions. Love the food and service was great also. Highly recommend!